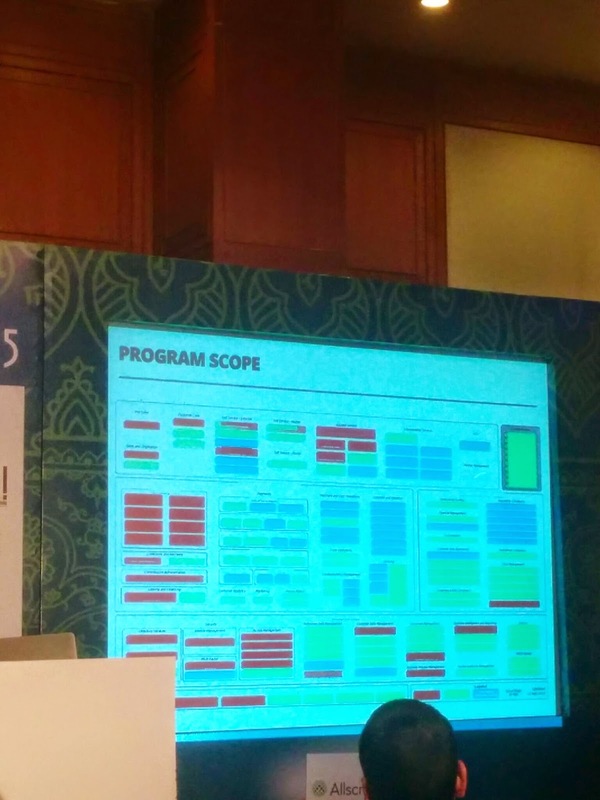 This case study presentation was from the experience of core banking implementation project. Any organization objective is create business value, create profit. The project was a distributed one. A core banking has external dependency like the green and blue objects, the red one represents the banking area, modules. 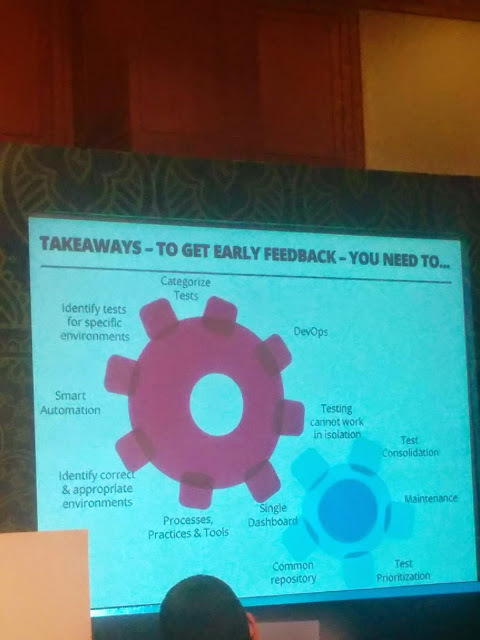 Some of the execution challenges were Multi partners (Policies, Constraints, Way of working), different stakeholders involved, agile implementation required and bank wanted iterative delivery, seeing value incrementally, building trust, co-existene with other systems, data migration, huge scope and difficult to slice in iteration, defect management, team distribution and integration, non functional requirements (security, performance, auditability, compliance, accessability. 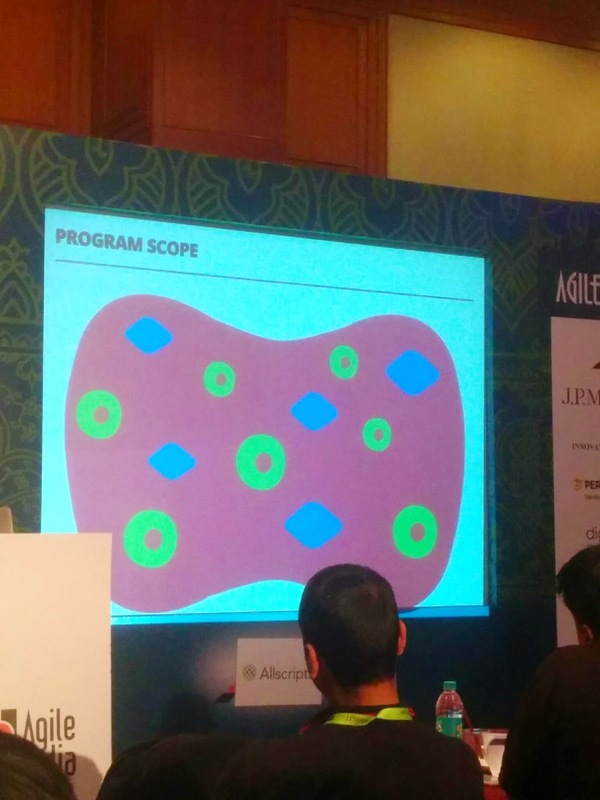 To get to this Continuous integration was implemented. Then focus on continuous delivery, which is a natural extention of continuous delivery. 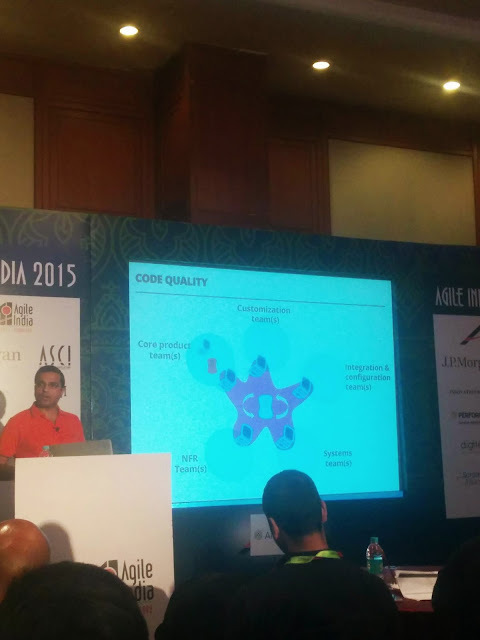 - Test Automation is one of the practice which is very important for continuous delivery. - Test Automation is the one practice which can make the continous delivery deployment unsuccessful. -Automation should be considered as Safety net. 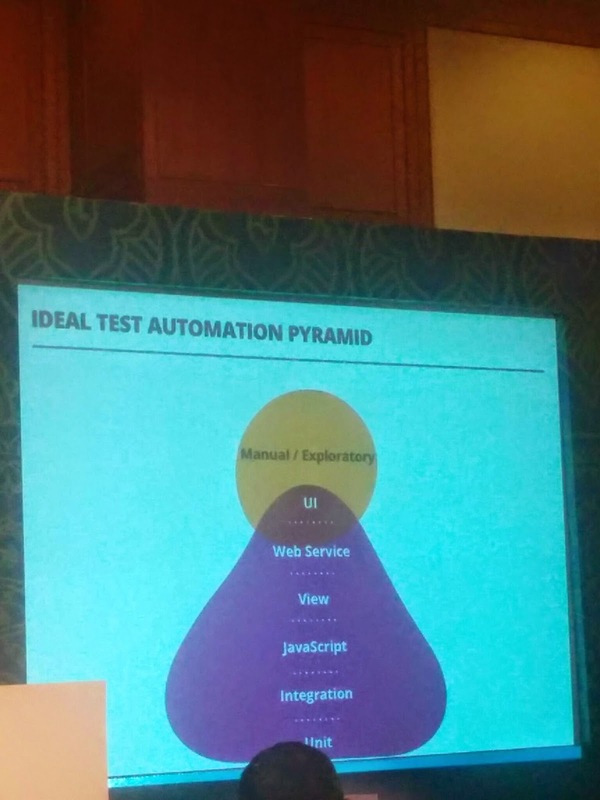 - Focus on ideal Test Automation Pyramid. - Cost goes up when we go up the pyramid while running these tests. - The UI and other related test cases tests the breadth of the product. 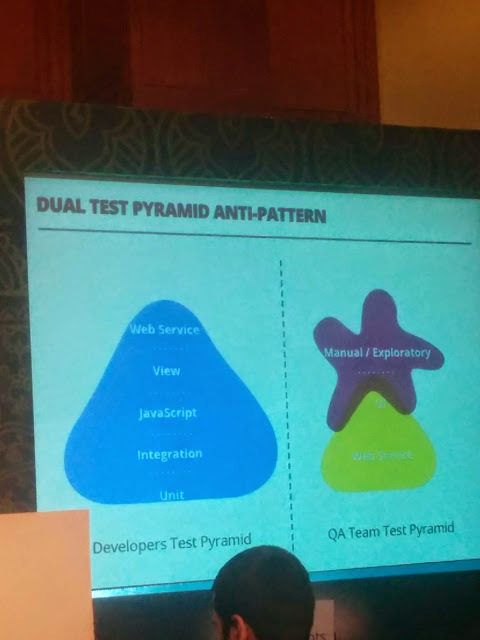 - Some oganization have developer and test pyramid, which is a big anti pattern. We need to have this as one pyramid.